Blend transparency with color to highlight parts of data with imshow. A common use for matplotlib.pyplot.imshow() is to plot a 2-D statistical map. While imshow makes it easy to visualize a 2-D matrix as an image, it doesn't easily let you add transparency to the output. For example, one can plot a statistic (such as a t-statistic) and color the transparency of each pixel according to its p-value. 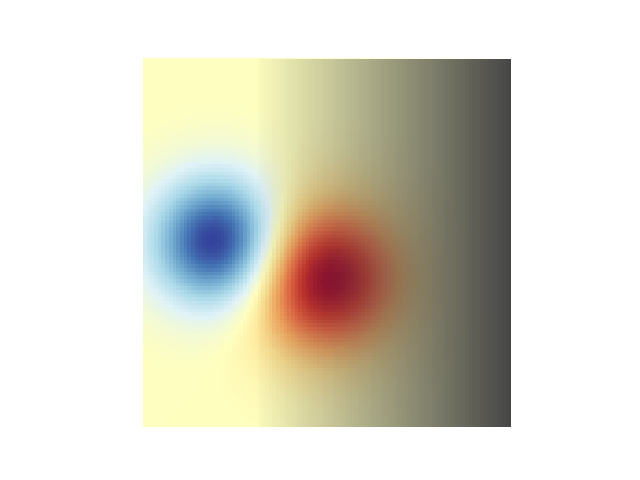 This example demonstrates how you can achieve this effect using matplotlib.colors.Normalize. Note that it is not possible to directly pass alpha values to matplotlib.pyplot.imshow(). 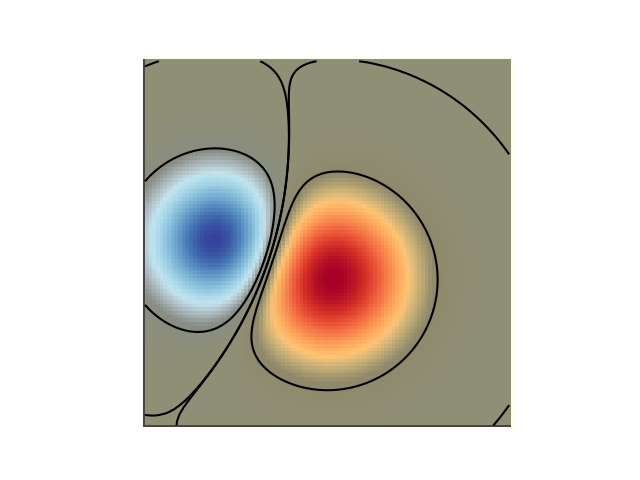 First we will generate some data, in this case, we'll create two 2-D "blobs" in a 2-D grid. One blob will be positive, and the other negative. # First we'll plot these blobs using only ``imshow``. 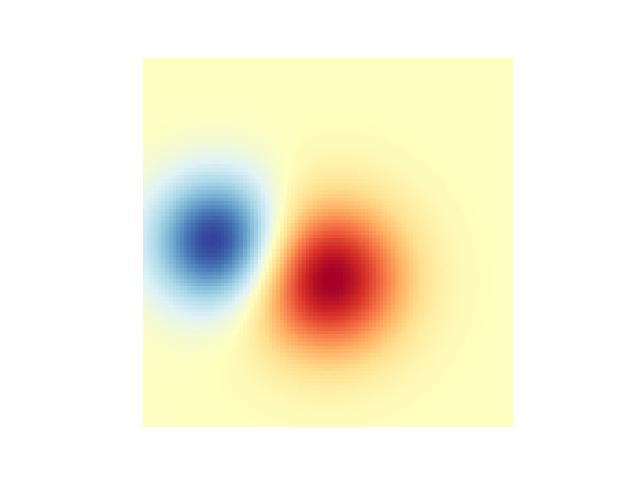 The simplest way to include transparency when plotting data with matplotlib.pyplot.imshow() is to convert the 2-D data array to a 3-D image array of rgba values. This can be done with matplotlib.colors.Normalize. For example, we'll create a gradient moving from left to right below. # Create an alpha channel of linearly increasing values moving to the right. Finally, we'll recreate the same plot, but this time we'll use transparency to highlight the extreme values in the data. This is often used to highlight data points with smaller p-values. We'll also add in contour lines to highlight the image values. # Add contour lines to further highlight different levels.